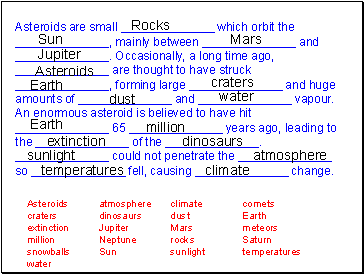 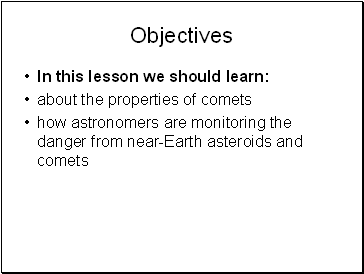 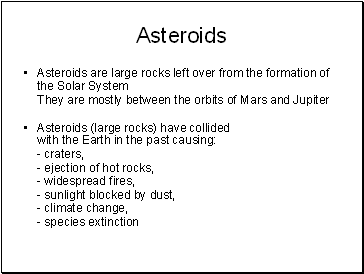 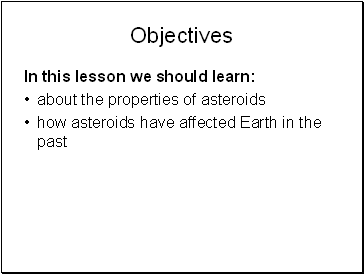 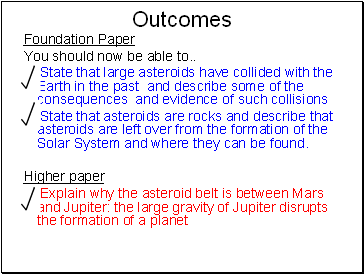 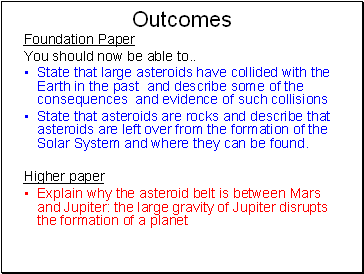 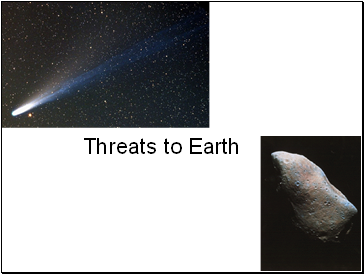 State that asteroids are rocks and describe that asteroids are left over from the formation of the Solar System and where they can be found. 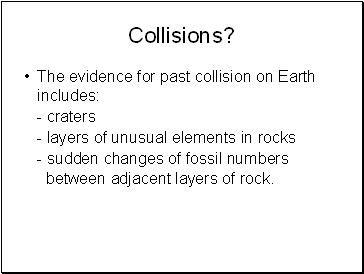 - sudden changes of fossil numbers between adjacent layers of rock. 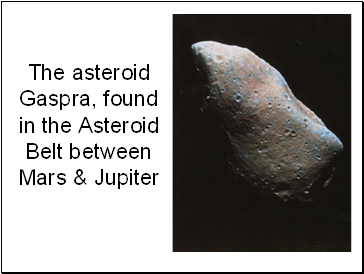 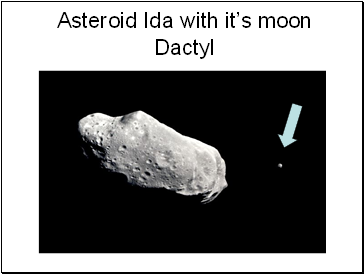 qState that asteroids are rocks and describe that asteroids are left over from the formation of the Solar System and where they can be found.